Are you looking for a reliable carpet cleaning professional to clean your Bayonne New Jersey couch? Your sofa sees a lot of action, and a good sofa cleaning is often a necessity. 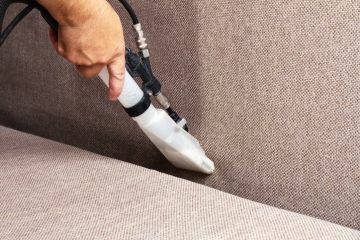 At A Friendly Carpet Cleaning & Restoration LLC, we’ve been professionally cleaning Bayonne sofas and love seats since 1995 and we’re in the business of helping your furniture look and feel good. After all, furniture upholstery cleaning requires more than just a few runs of a vacuum and typically requires better products than what you can buy at your local store. If you’re ready to get your old sofa looking new again, call the experts at (973) 264-9133 today! When choosing A Friendly Carpet Cleaning & Restoration LLC, your furniture will get a deep down clean that you won’t get if you try to clean your couch yourself or choose a random company. Affordable: Because of our 24 years in business, we know having your couch cleaned shouldn’t cost too much, which is why all our couch cleaning services are extremely affordable. Contact A Friendly Carpet Cleaning & Restoration LLC today at (973) 264-9133 to schedule a free estimate to clean your sofa. We believe in being open and honest with our customers, so our Bayonne couch cleaning process is listed below so there are no surprises when we arrive at your house. Our mission is nothing short of your complete satisfaction! We recommend having your furniture professionally cleaned at least twice a year to remove any dirt, stains, or allergens that become embedded over time. If you have a cloth couch and suffer from allergies, you may want to consider having your couch cleaned more regularly. And when you’re in the market for a professional Bayonne sofa cleaning company to make your furniture look new, be sure to contact A Friendly Carpet Cleaning & Restoration LLC today at (973) 264-9133 to schedule your free estimate.